promote the growth and enjoyment of the hobby. Colorado, Montana, Nebraska, Utah, and Wyoming. Our members collect, run, buy, and sell all scales and brands of pre-war, post-war, and modern toy trains. On our Web site you can learn about RMD activities such as business meetings, train meets, and shows. You can also access RMD news, newsletters, and Division information. If you have never been to Denver before to attend one of our toy train meets or auctions why not consider us-you'll be glad you did. 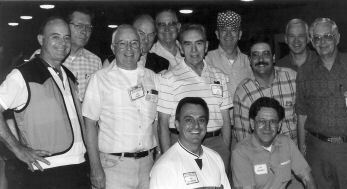 In February of 1970, a small group of train collectors in the Denver area got together at the home of Warren Mizell to explore the possibility of forming a new Division of TCA. Of the 15 people who had expressed interest in the new Division, eight were in attendance at the meeting. After considerable discussion, the group felt that 15 people would not enable the group to qualify for National recognition since the minimum participation was 25. Consequently, they sent a letter to the National office explaining the circumstances. Headquarters replied that it was not necessary that all 25 prospective Division members reside in the Denver area. The only requirement was that at least 25 TCA people reside within the tentative geographical boundaries which were laid out by the home office. Additional information confirmed the fact that indeed there were exactly 25 members residing within the projected boundaries which would qualify the group for Division membership. From that humble beginning, the Rocky Mountain Division of TCA was formed and is a vital growing entity within the TCA. The newly formed association officially applied for the Rocky Mountain Division charter in April 1970. Division status was granted in June 1971. 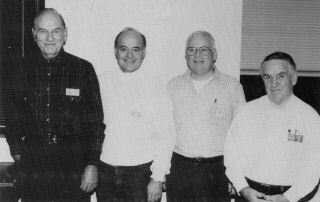 The following people represent the original nucleus of the Division, and are now classified as Charter Members of the Rocky Mountain Division of TCA. For comments or questions, please use Contact RMD page and select 'Webmaster'.